This is the fourth in a series of posts reporting on the Wildlife Conservation UAV Challenge fact-finding mission to South Africa. CHALLENGE UPDATE: Over 60 teams from 20 countries are now signed up to compete. 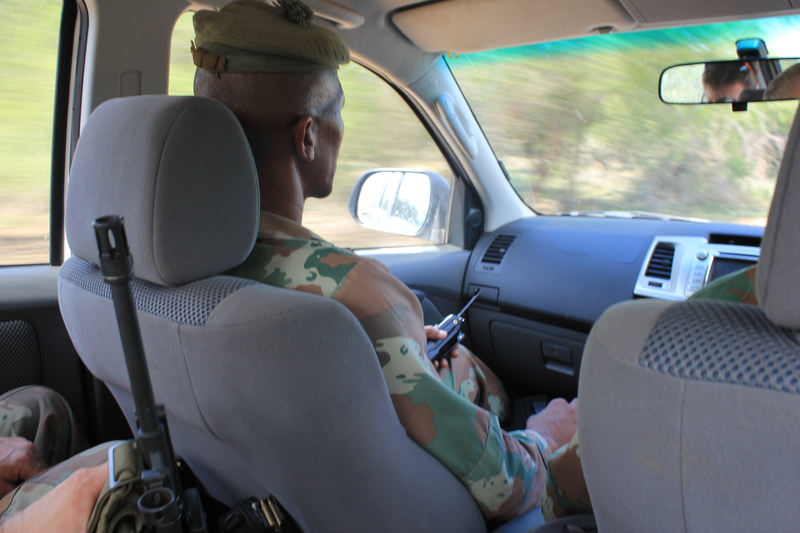 LOWER SABIE, SOUTH AFRICA — The UAV Challenge team and the Aurora team are traveling with the South African National Defense Forces (SANDF) to the Mozambique border. On that 2 hour drive to the forward camp I had the chance to speak with a Colonel and Lieutenant about counter poaching and border patrol. Understanding as much as we can about the poachers and their tactics will help us craft and refine the requirements for the teams. The following are excerpts from these discussions. How would you describe the poachers? They’re great bushmen. The good ones don’t smoke or set fires or do anything that would give them away. They’re extremely disciplined. These are people who are used to taking extraordinary risks in other criminal enterprises. Poaching then is not a bigger risk, but money is much better, which makes it difficult to deter. What are some of the poachers’ tactics? These are very simple people. As it goes up the value chain (of the syndicate) it becomes a lot more sophisticated, but at the poacher level it’s very basic. They typically operate in groups of 3 to 5 people. One would carry guns (assault rifle and hunting rifle), another would carry an axe or saw (to cut the rhino horn off), and the other would carry supplies. The full moon period is when they are most active. They start moving after 4pm they can cover 30 kilometers in a night. They don’t move during midday. How do the poachers navigate and communicate? Do they use cell phones? They may have cells phone,s but the coverage is not great in many areas. They would use them only if they need to; To receive coordinates of rhino’s location from people inside the park or to get picked up. Otherwise they tend to use power lines along the roads for navigation and orientation in addition to other tactics one would use in the bush. The situation is dynamic and we are constantly evolving our tactics. What would you need UAVs and technology in general to be able to do? The key is to find people. People who don’t want to be found. And we need to be able to do it at night. In some parts of the park there is thick canopy. To see them you need a special capability. The ability to “detect” is where we want to go. It needs to be durable. Kruger is not your friend. It’s hot, windy, dusty. It’s not an hospitable environment for technology. Of all the UAVs I’ve seen the key is the optics. And stability. If it’s something that the rangers will be using it needs to be easy to use. Many of the rangers are bushmen with little education. They have limited exposure to technology. It also needs to be quiet. 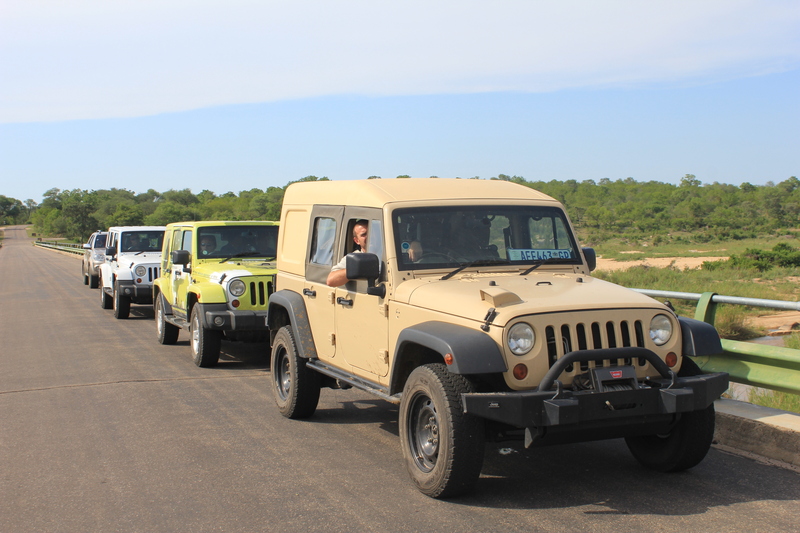 UAV Challenge’s convoy to the Mozambique border. What are some of the challenges at the Mozambique border? About 90 percent of the poachers illegally enter from Mozambique. The majority of the other 10 percent are Mozambiquers living in South Africa and entering the park from the southwest. On the Mozambique side they are very relaxed. They’re camping. They’ll stand on the other side of the fence and wave their AKs at you. Once they cross the fence they become very cautious. It’s a difficult problem because of the distances we’re talking about. The park is 2,000,000 hectares. As soon as we engage 1 person 15 people stream around the other side. The U.S. is struggling with the same problem (with Mexico). 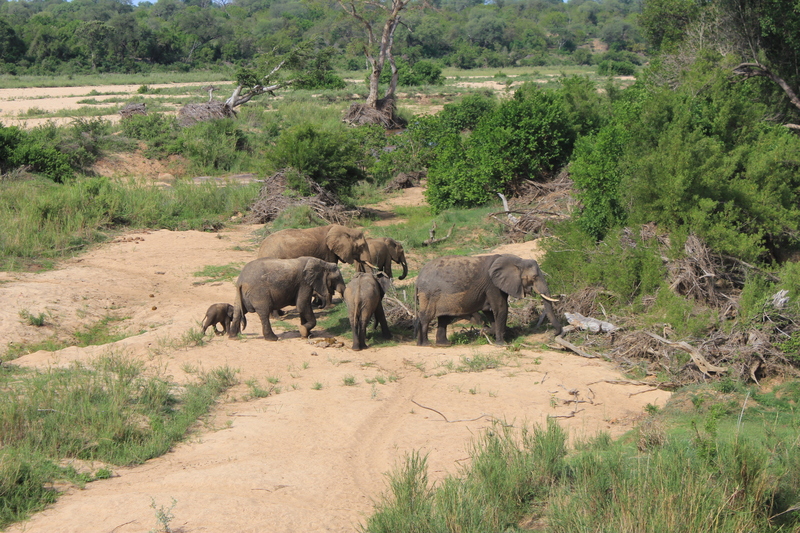 This wildlife spotting featured a family of elephants. 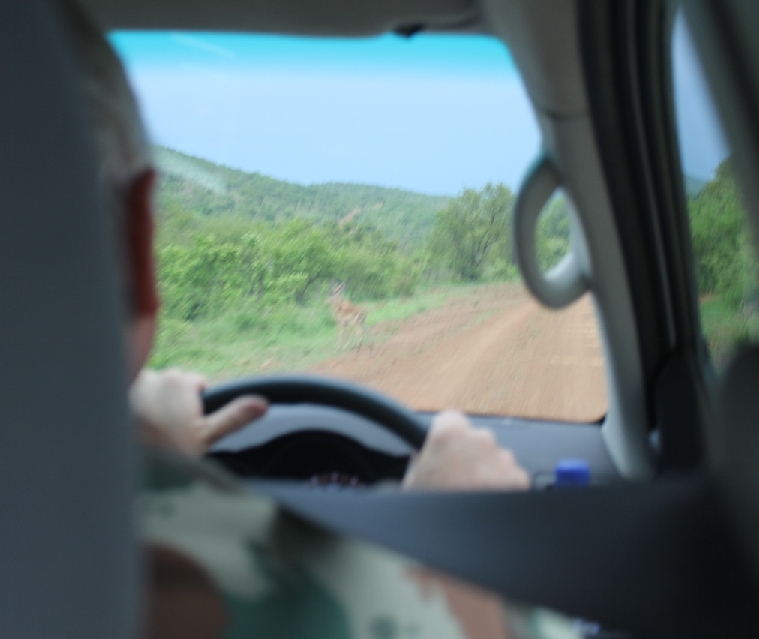 For my next post we’ll be embedded with SANDF at the Mozambique border.